From the Bishoujos that I own, only Harley Quinn has an alternate head. I never switch her face because one doesn't look that much different AND it's not in a convenient space. 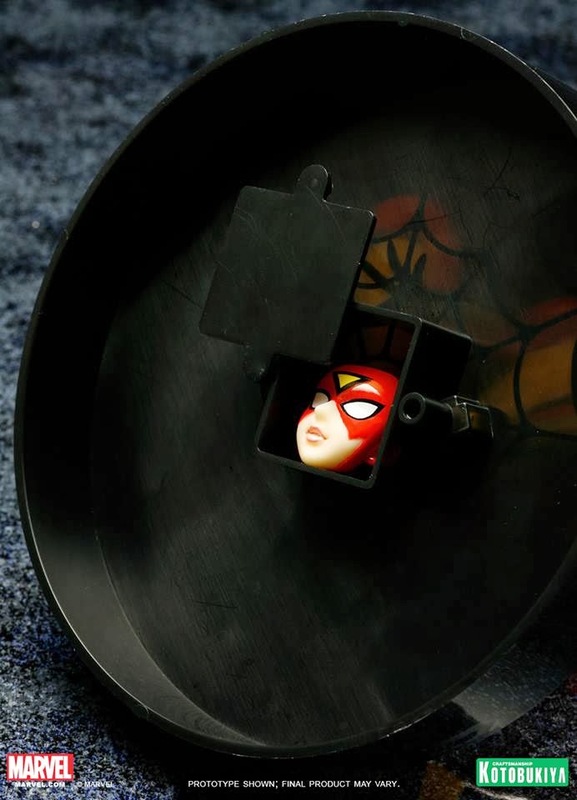 The Spider-Woman base provides a nifty little compartment for the variant face. Genius…. 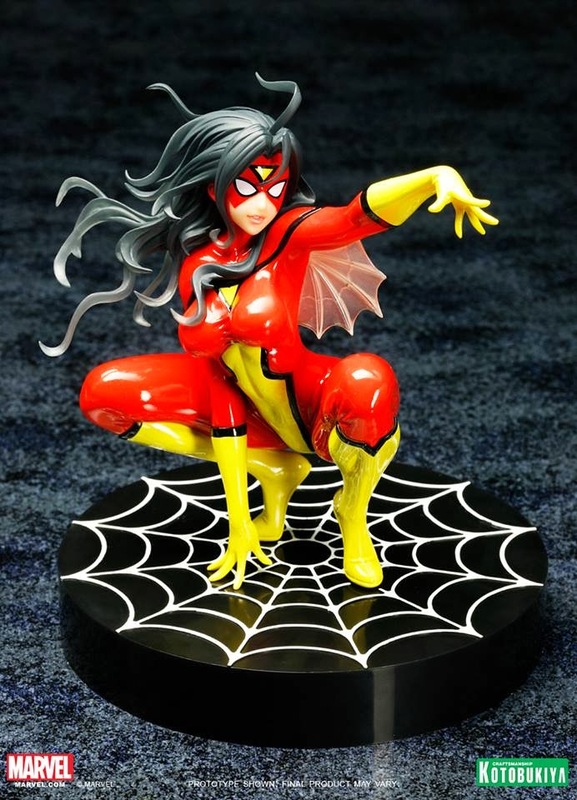 I love this statue even more now!